Added by Debra Tash on December 7, 2018. The photos are by local Newbury Park resident, William Hicks. 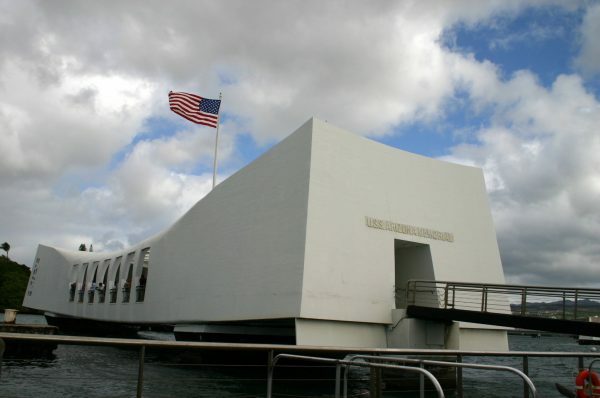 Mr. Hicks takes us on a visit to this site of honor, using his camera to capture an impression of the Arizona Memorial at Pearl Harbor in Hawaii. 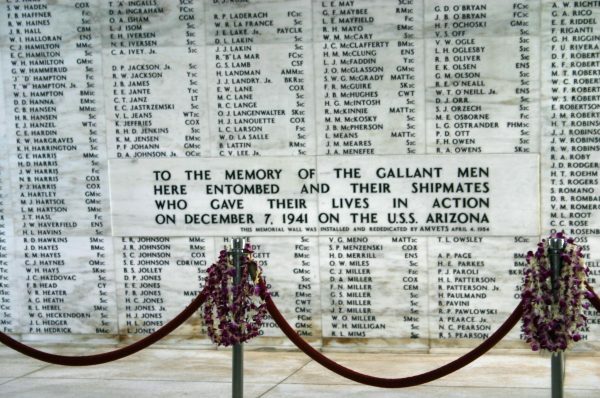 The Arizona went down on December 7th 1941. She was struck by a bomb, her magazine blowing and sinking her. She took the lives of 1,177 officers and crewmen with her. Parts of the ship were salvaged but most of her twisted hull remained. The wreck was dedicated on May 30th 1962 as a memorial to those who died on that day of infamy. 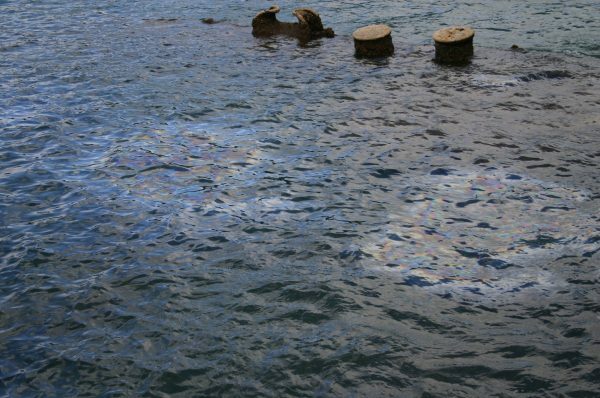 Oil still seeps from the hull 76 years later. 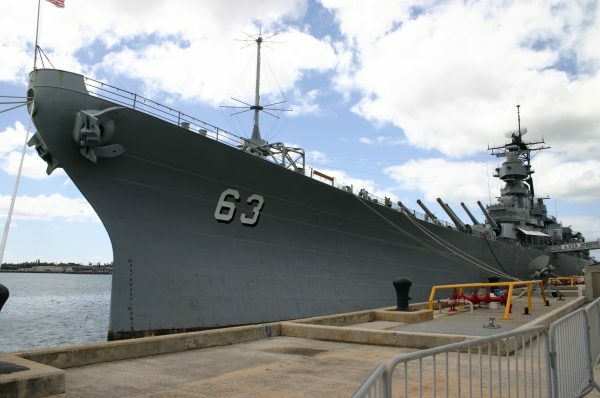 This battleship is The USS Missouri, “Old Mis” where the “Japanese Instrument of Surrender” was signed on September 2, 1945, bringing an end to the bloody war that began one December day almost five years before. My Father is a WWII Veteran. Days after the infamous attack on Pearl Harbor, my Father flew in to Hawaii. The smoke from the fires was still present in the air, as he remembered to me in a conversation years ago. He rarely talk to me about his experiences during the War, but this was one conversation he ad with me.